A metaphor for the masses. Helping people understand Honda SENSING: An innovative, yet complicated, technology. Honda SENSING was a revolutionary, innovative product. However, like all radical ideas, trying to understand it proved to be a challenge – especially for the common, non-tech savvy folk. Our approach was to link Honda SENSING to something everyone knew instinctively how to operate: The ever-present Shopping Cart. 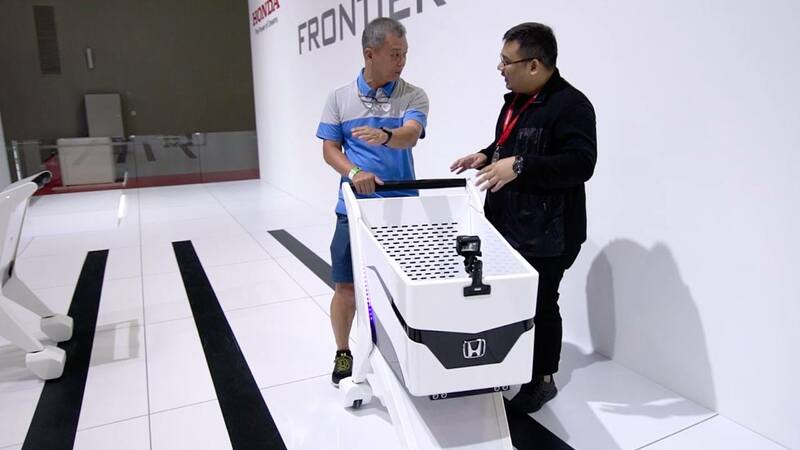 Using sensors, boards and brakes, we fused Honda SENSING with a regular shopping cart, for the world’s first intelligent trolley. We used the cart on-ground at an international motor show, and made an online YouTube video that eventually racked millions of views.